Even after all these years of being a gamer, this journey of research and learning about them still fascinates me as it leads me through various paths and I find myself arriving at information, games, people, or items I’ve never encountered before. Such is the case with the book I’m looking at today: a Japanese tome entitled simply Family Computer 1983-1994. Produced by the Tokyo Metropolitan Museum of Photography in conjunction with their exhibit entitled “Video Game Exhibition -Level X-,” which ran from Dec. 4, 2003 to Feb. 8, 2004 in commemoration of the 20th anniversary of the Famicom, this softcover book runs just over 200 pages and originally sold for ¥2,500. I became interested in this book through another book I read fairly recently, which was the first volume of Jon Sczepaniak’s Untold History of Japanese Game Developers trilogy, which I featured in a Gamers’ Library post of its own. 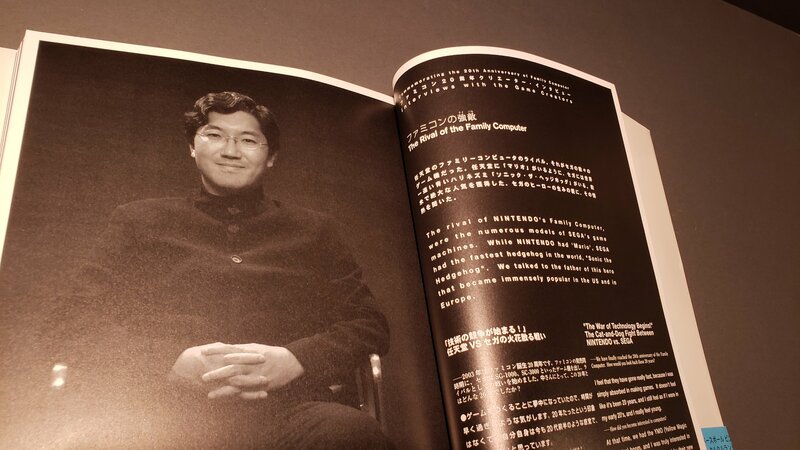 In that volume, author Sczepaniak lavished praise on the Family Computer book, citing it as a big inspiration for his own work in interviewing game developers and learning the stories behind the companies they worked for and the games they created. Of course, that gave me a clue to follow, as I then searched out this Family Computer book and recognized it as something I had seen photos of before, but hadn’t paid much attention to. Now that I knew it had some intriguing content, I naturally had to find a copy of my own. So once again, one branch of research led to another. And I love that! FC8394, as I guess I’ll refer to it hereafter for short, is ostensibly a photo book showcasing all 1,252 officially-released games for the Nintendo Famicom, both cartridges and disks. Photos of every single original game package are included, as well as capsule comments on many of the most popular titles. Other games are lumped together in large group photos, and even specially-packaged box sets are included. However, it’s not just an all-game catalog, as there are plenty of those out for almost every console in Japan. The introduction was written by none other than Nintendo’s then-president, Hiroshi Yamauchi, and there are a few essays about various topics such as the creativity in game design that resulted from 8-bit limitations, and an evolution of baseball video games. 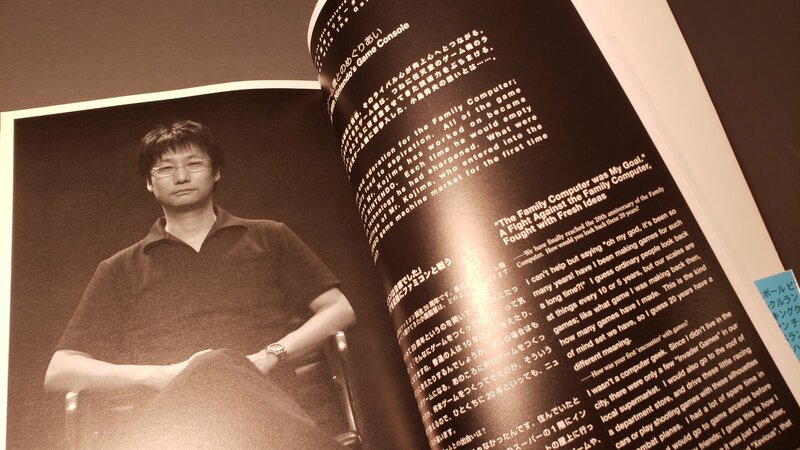 This book also features interviews with many key individuals in Famicom history: Shigeru Miyamoto, Shigesato Itoi, both Satoshi Taijiri and Ken Sugimori of Game Freak, Yuji Horii of Chunsoft, and even Sega’s Yuji Naka, among others. 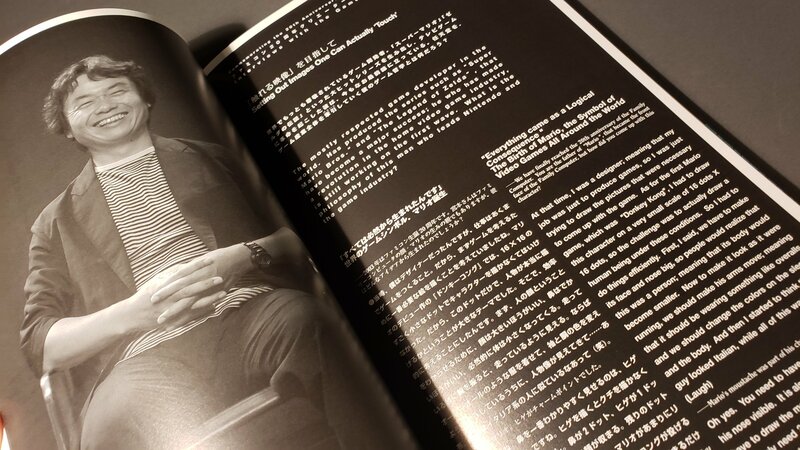 They speak about their own experiences, and the Famicom’s importance and influence. As you can see by now, the appeal of this book to Westerners is that it’s bilingual! The translation, done in Japan, varies in accuracy and readability. While the English translation of the game writeups leaves a bit to be desired (see the Takeshi no Chousenjou bit below), the interviews and essays are much better and very readable. Toward the back, there’s also a brief overview of the many other consoles that made video game history, and a handful of slightly deeper dives into a select group of notable Famicom titles. A quick ebay search finds prices varying wildly from around $40-$110, but only one recently-sold copy at $48. I didn’t get mine from ebay but I think I only paid $30 or $40, so don’t overpay if you’re in the market. Other sources could be secondary sellers on Amazon, or AbeBooks. It might take a bit of digging to find a copy, but FC8394 is a great piece to add to your library.